ARTIFACT: Cool old 1930�s Tamworth Inn Room Key Fob with 1970�s � 80�s key, both to Room # 25 of the historic old inn, still standing in Tamworth, New Hampshire. 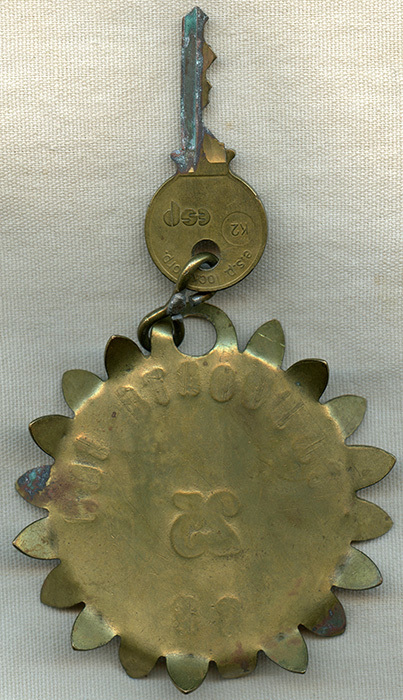 The fob resembles a sunburst with the sun�s rays pointing up and down in an alternating fashion. 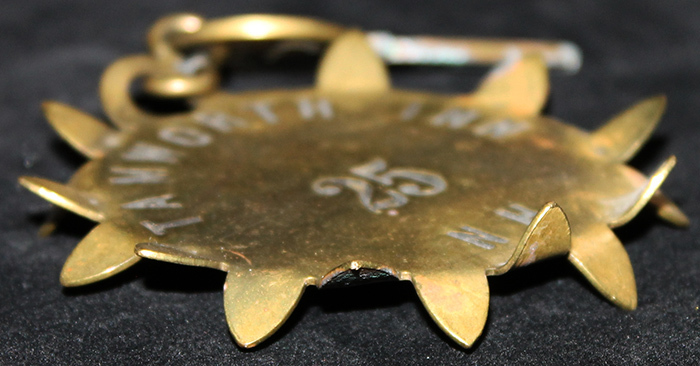 The center of the fob shows: �25� and surrounding it reads: �TAMWORTH INN NH�. The key reads: �FITCHBURG, MASS. U. S. A.� and beneath the number �25� is stamped. CONDITION: 7+ (Very Fine+): The key fob shows minor to moderate wear, the key shows a few spots of oxidation, overall very fine condition.